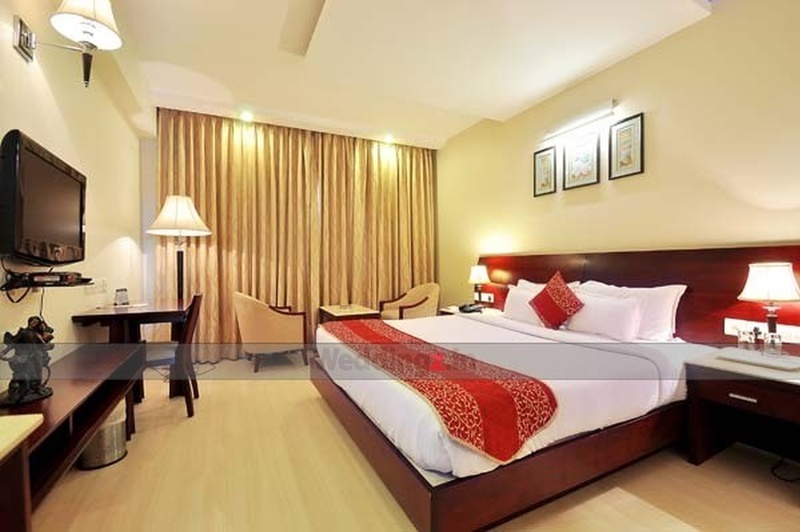 Abhimani Vasathi Hotel, Bangalore, is located in the prominent Rajajinagar in the city. The entire hotel is centrally air-conditioned and Wi-fi enabled and the rooms are well-furnished and equipped with modern amenities. The two party areas, Seanade and Cascade are perfect for hosting medium-sized wedding functions. 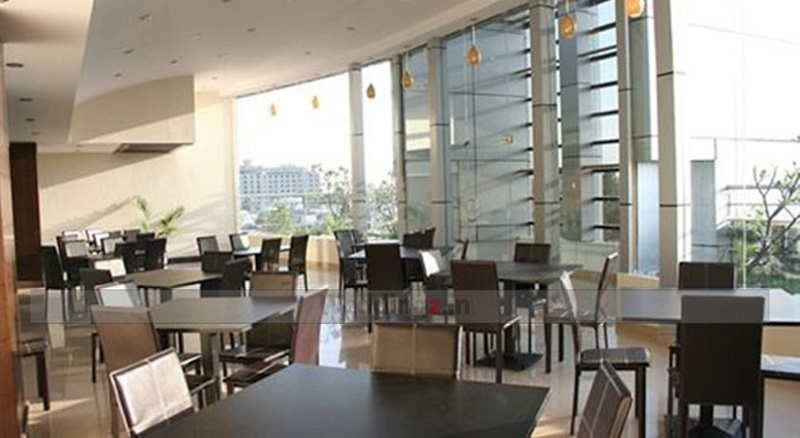 Apart from the two beautiful wedding halls, the venue also has a gorgeous rooftop area called Infinity to organise a bachelor or cocktail party for friends.The venue has its own multi-cuisine restaurant that serves Indian, Chinese, Continental and other cuisines, which the guests would relish. 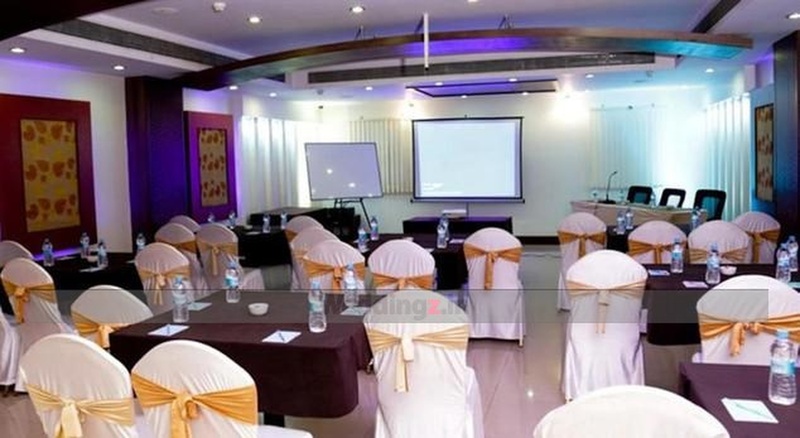 The Abhimani Vasathi Hotel located in Rajajinagar, Bangalore has Wedding Hotels, Cocktail Venues, Banquet Halls and Terrace Banquet Halls. Infinity can accommodate upto 100 guests in seating and 150 guests in floating. Cascade can accommodate upto 100 guests in seating and 150 guests in floating. 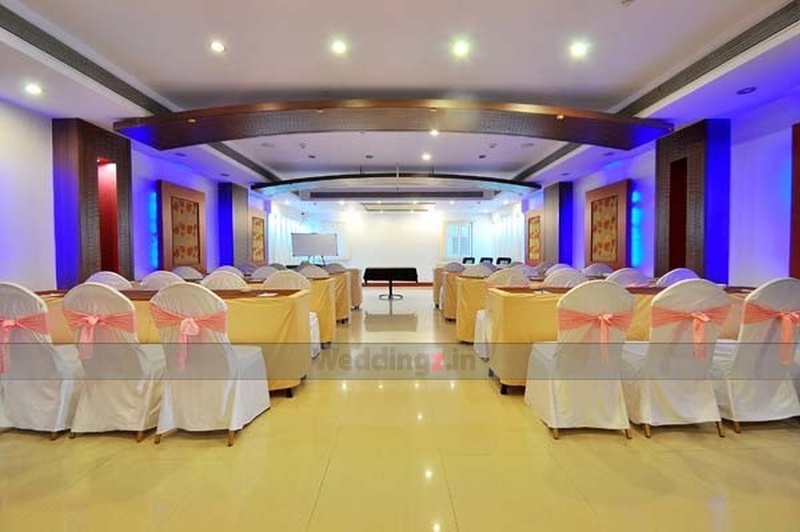 Banquet Hall can accommodate upto 200 guests in seating and 300 guests in floating. Vegetarian and Non Vegetarian food is served at this venue. Features of this wedding venues are : Food provided by the venue , Non-Veg allowed at the venue , Alcohol allowed at the venue , Outside alcohol allowed at the venue , Halls are air Conditioned , Ample parking , Baarat allowed , Fire crackers allowed , Hawan allowed , Decor provided by the venue , Packages starts at Rs 500 per plate for vegetarian menu and at Rs 600 for non veg menu.